Gone2Pot will be at Greenford Hurricane Room on Saturday 12th May and Sunday 13th May. Please ﻿Contact me asap if you want a coaching session here as spaces are limited. Come and participate on the CueZone at Sheffield all throughout The Championship. Gone2Pot is there until Friday 27th. Click the link above to read more about CueZone on the World Snooker Website. From Monday 23rd to Friday 27th April there will be no availability for regular coaching sessions due to being on the CueZone at the World Championship but coaching can be done on the CueZone. I have availability after this so please ﻿Contact me if you would like more information or a coaching session. Also if you're at the Championship come and check out the CueZone and talk to me. The world Championship is finally here and from Monday 23rd to Friday 27th April Gone2Pot is on the CueZone, If you're in Sheffield come and join in. 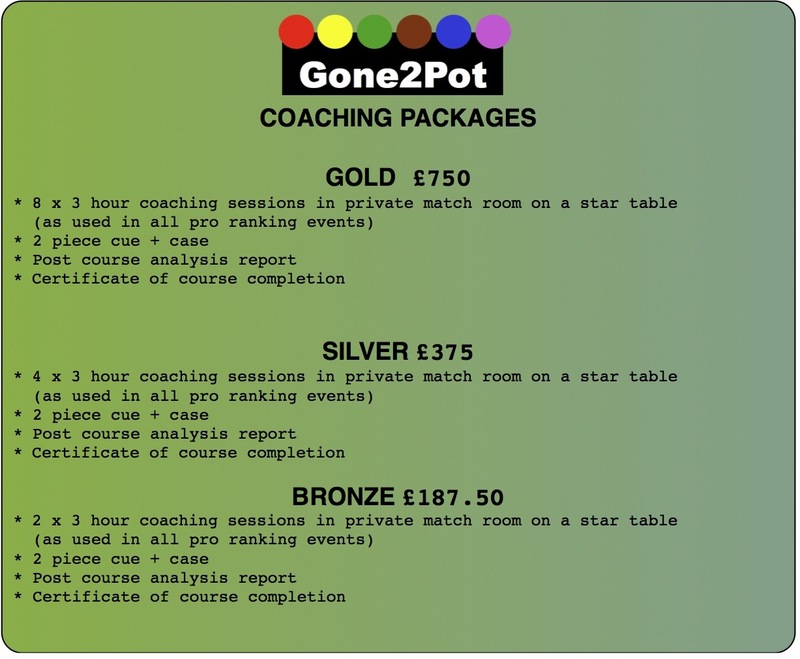 Its official after a successful time on the Cue Zone at the Masters, Gone2Pot will be at the Crucible next month from Sunday 22nd April to Thursday 26th April on the Cue Zone. It will be great to see you there. For a special Package deal please ﻿Contact me for further information.